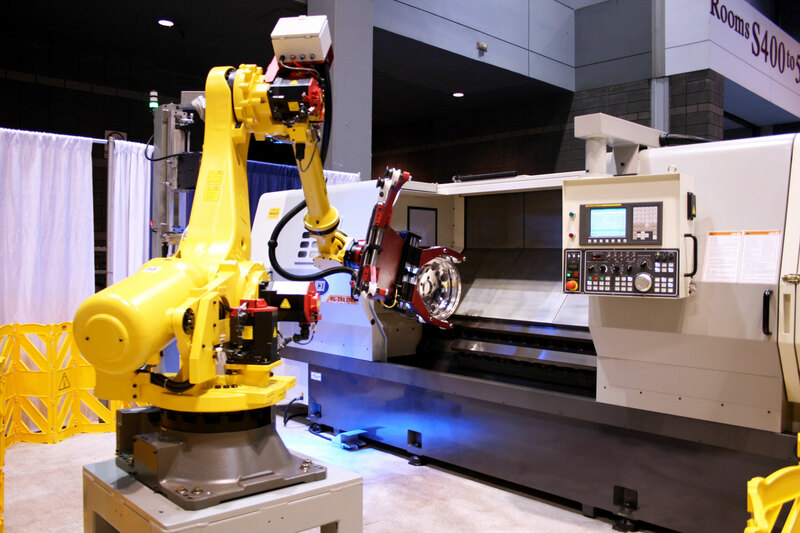 CNC Wheel Turning Center for machining exquisite mirror finishes, features a Granite Headstock encasing a FANUC 60 HP Direct Drive Spindle Motor providing rigid precision for mirror finishes. The WHL-55SP has a wide Wrap Around Box Ways design, which provides long term accuracy and rigidity in the high production environments typical to the wheel manufacturing industry. CNC Wheel Turning Center for the profitable production of large diameter wheels up to 24”, featuring wide Wrap Around Box Ways, and a FANUC 60 HP Spindle Motor providing power and precision for heavy cuts. The WHL-68 provides long term accuracy and rigidity in the high production environments typical to the wheel manufacturing industry. CNC Vertical Wheel Drilling Center primarily for machining of lug nut holes necessary for the profitable production of wheels. The WVD-24C incorporates an Overhead Traveling Column design to support the headstock, which provides optimum rigidity for guaranteed smooth, stable precision. The WVD-24C is equipped with an 8,000 RPM, 40 Taper, 15 HP Spindle, and a 24 station Automatic Tool Changer. CNC Vertical Wheel Drilling Center primarily for machining lug nut and valve stem holes necessary for profitable production of wheels. 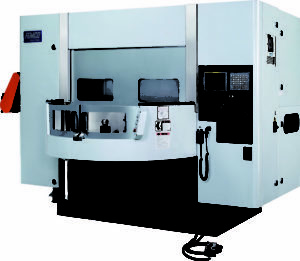 The WVD-24C has the added capability of a C-Axis Rotary table along with the B-Axis allowing for 4-Axis machining. Its design incorporates an Overhead Traveling Column to support the headstock, which provides optimum rigidity for guaranteed smooth, stable precision. The WVD-24C is equipped with an 8,000 RPM, 40 Taper, 15 HP Spindle, and a 24 station Automatic Tool Changer. CNC Vertical Wheel Drilling Center capable of simultaneous 5-Axis machining of complex shapes for machining unique and distinctive wheels. Its design incorporates an Overhead Traveling Column to support the headstock, which provides optimum rigidity for guaranteed smooth, stable precision. The WVD-24C is equipped with an 8,000 RPM, 40 Taper, 15 HP Spindle, and a 24 station Automatic Tool Changer. CNC Vertical Wheel Drilling Center primarily for machining lug nut and valve stem holes necessary for profitable production of wheels. The WVD-24C has the added capability of a B-Axis table, and its design incorporates an Overhead Traveling Column to support the headstock, which provides optimum rigidity for guaranteed smooth, stable precision. The WVD-24C is equipped with an 8,000 RPM, 40 Taper, 15 HP Spindle, and a 24 station Automatic Tool Changer. CNC Vertical Wheel Turning Center equipped with twin turrets providing high speed precision turning for high production of wheels. The two 6 X 6 station turrets allow for simultaneous or “balance” turning of the wheel’s outside and inside diameters significantly reducing cycle times. The rigid construction combined with precision components assures consistent high accuracies and excellent finishes. The WVL-F24 combines high rapid traverse rates, fast turret indexing and powerful 80/100 Horsepower spindle.